henever its my birthday, my lovely mum always does me a handmade card and this year she excelled herself! 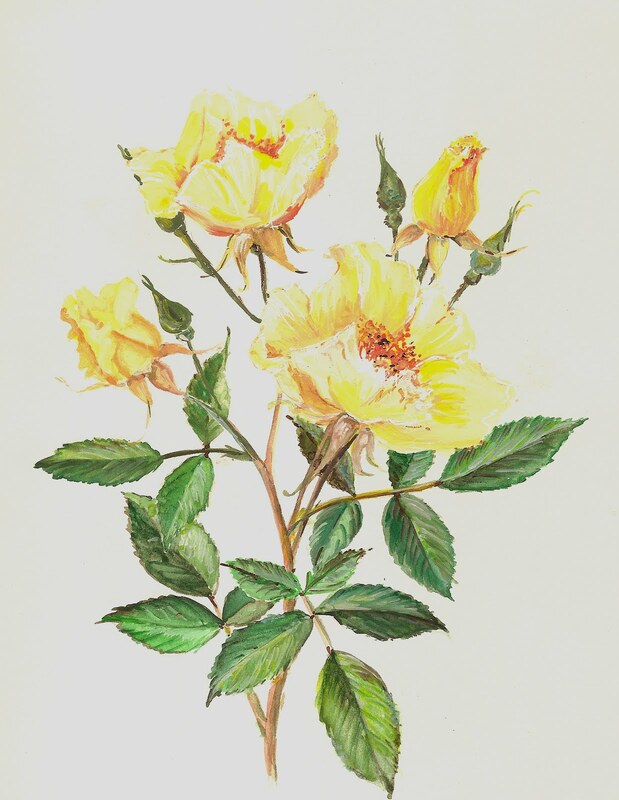 Look at this beautiful watercolour of some yellow roses, is n't she brill? Happy Birthday Danielle. Lovely talented generous mum awwwwwwwwwww. SOOoooo glad to have "met" your "mum" on skype - a real treat for me, for sure. Off to California on Wed til Fri - missing you so much! Hope things are good there. Talk soon? HOW BEAUTIFUL - AND WHAT A JOY TO HAVE A TALENTED MOTHER! SHE OBVIOUSLY PASSED ON THE ARTISTIC TALENT TO YOU DANIELLE AS WELL AS THE LOVE OF HABERDASHERY!